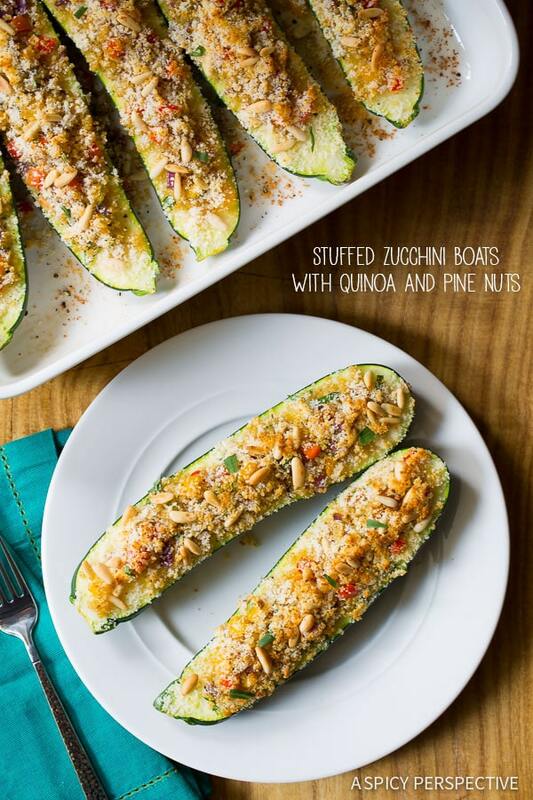 Light and perky Stuffed Zucchini Boats with Quinoa and Pine Nuts. A vegetarian dish the whole family will enjoy! As parents, Lt. Dan and I are always looking for interesting ways to get our kids to eat their veggies. I’ll admit, as they get older, it’s much much easier than it used to be. I used to stretch the truth on a daily basis to get veggies in them without a dramatic scene taking place, that usually ended in tears. My tears. I would use loose creative terms like “Veggie Noodles” or “Zoodles” for spiralized zucchini, or “Spooky Chips” for gnarly looking yet wonderful baked kale chips. I used to hide vegetables in every possible dish I would make, hoping the flavors would normalize on their little palates. Nowadays we are far past the lies and veggie smuggling. The kids will eat almost any plant based food, with the exception of raw mushrooms. However, they do appreciate it when I doctor certain vegetables to make them a little more appealing. 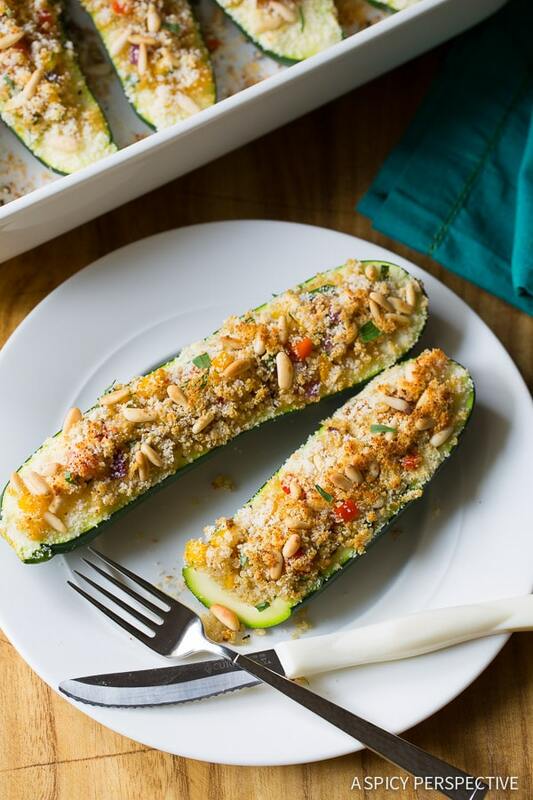 Stuffed Zucchini Boats is a veggie dish we all enjoy, filled with hearty quinoa, sautéed peppers and onions, fresh tarragon, and a crunchy top of pine nuts and parmesan cheese. You can grill or pan-fry Stuffed Zucchini Boats with Quinoa and Pine Nuts, yet I like to bake it in the oven, because I feel like I have better control over the texture. I keep the zucchini a little on the firm side… Baked on the exterior yet slightly uncooked in the center. That way, the Stuffed Zucchini Boats with Quinoa and Pine Nuts retain most of their nutritional value and don’t get mushy. 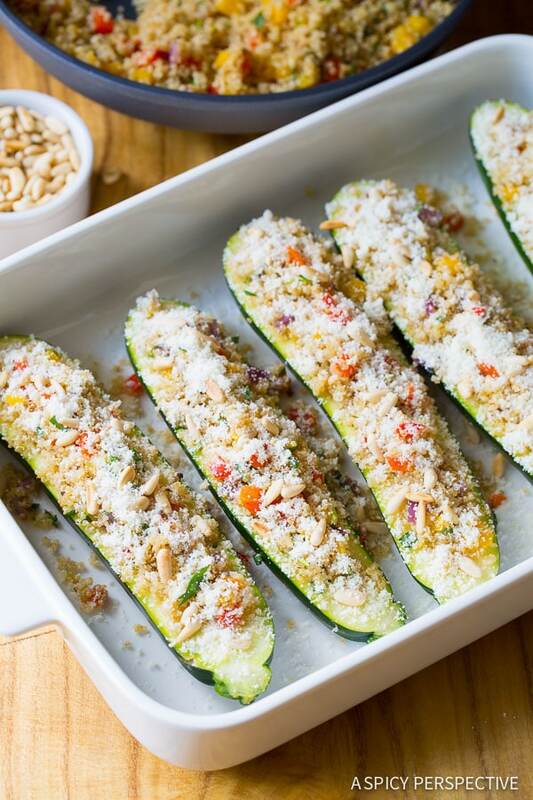 The light sprinkling of parmesan cheese and crunchy pine nuts gives these light and healthy stuffed zucchini boats a touch of richness. 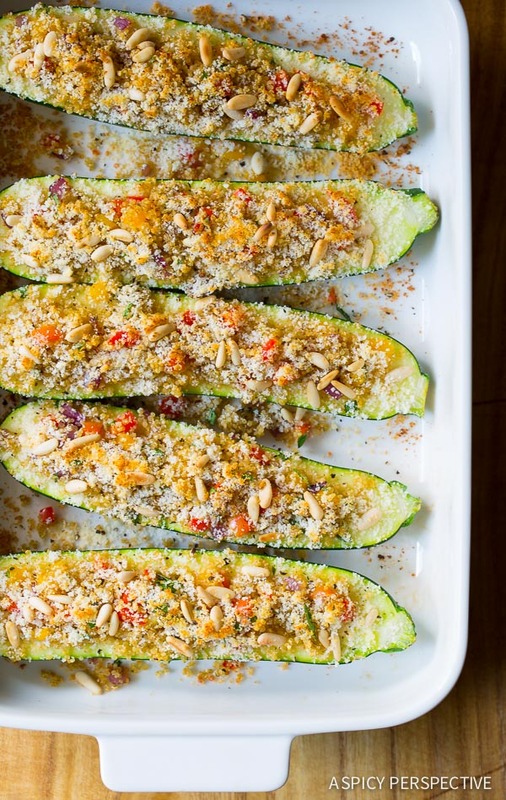 My family would happily eat Stuffed Zucchini Boats with Quinoa and Pine Nuts every week. I feel good about serving it to them because it’s full of vitamins and minerals. Seconds are not only acceptable; they are encouraged! 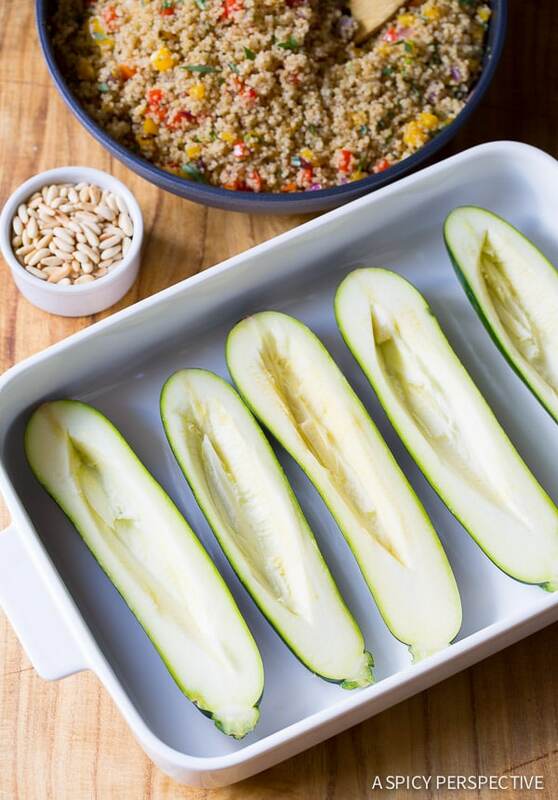 Easy and Healthy Stuffed Zucchini Boats with Quinoa and Pine Nuts. A dish full of flavor and goodness, with colorful vegetables mingled throughout. 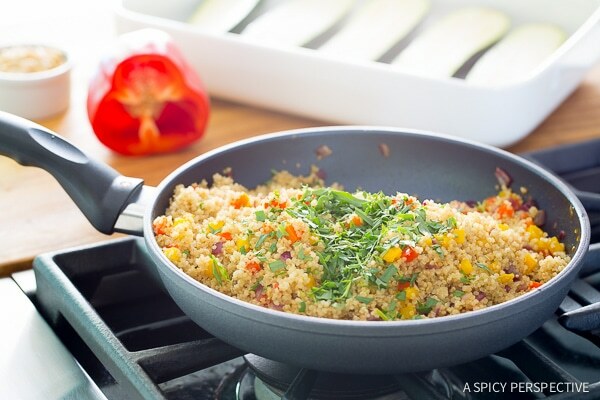 Preheat the oven to 450 degrees F. Place the quinoa in a medium sauce pot. Add 1 tablespoon of olive oil and heat to high. Stir to coat the quinoa in the oil, then add 1 1/2 cups water and cover the pot. Bring to a boil. Stir. Then lower the heat to medium-low and simmer the quinoa, covered, for approximately 15 minutes. Fluff with a fork and set aside. Meanwhile, chop the peppers, onions, garlic and tarragon. Use a spoon to scoop a long trench out of the center of each zucchini and place the halves in two 9x13-inch baking dishes. Place 1 tablespoon of oil in a skillet and sauté the onions over medium heat for 2 minutes. Then add the peppers and garlic and sauté another 2-3 minutes. 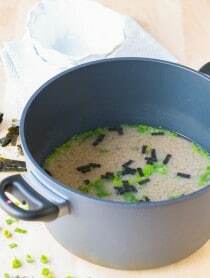 Toss in the cooked quinoa and tarragon and turn off the heat. Salt and pepper the quinoa to taste. Spoon the quinoa into the center of each zucchini half. Sprinkle the tops with pine nuts and Parmesan cheese. Then bake for 12-15 minutes, until the Parmesan is golden. The zucchini should be lightly cooked, but firm. Serve warm! Pingback: Thanksgiving Recipes and Tips that will Save Your Holiday Sanity! This is excellent as a vegan recipe if you substitute Follow Your Heart parmesan cheese for the dairy cheese! Pingback: 10 Healthy Recipes for Girls Who Hate Cooking - How to do everything! What an amazing combination of flavors. I love the addition of pine nuts and quinoa. Yum! 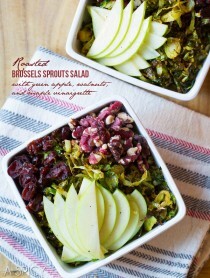 Love the addition of pine nuts for the added crunch! I need to make me a zucchini boat! This recipe looks delicious! I love the idea of quinoa and pine nuts together! This looks so great!! I love zucchini, however my husband doesn’t. BUT he travels a lot so this might be on my list to make when hes gone. We are big fans of zucchini boats in my home, so naturally I would love this! These look wonderful! I would love them as an app or main! This meal is right up my alley! It can be so hard to come up with creative vegetable dishes that taste both delicious and look gorgeous, and I’d say you’ve seemed to mastered it! These are so beautiful, any person – kid or adult would be crazy to pass these up. P.S. LOVE pine nuts! Stuffed Zucchini Boats sound so good right now and I’m loving the “stuffing” that you used! Delicious. And I love the colors! Mmmmm….these look fantastic! Big fan zucchini boats!! Healthy and delicious! Love this! Loving EVERYTHING about these zucchini boats! Yum! Love these boats! I bet the pine nuts add a nice crunch! These are so fun! I love the pine nuts and how healthy and light these are. 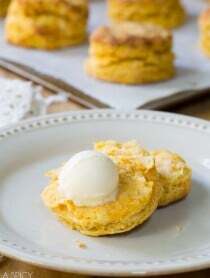 I am pinning these and trying them! You had me laughing at loud at “spooky chips” for kale chips! Love it! 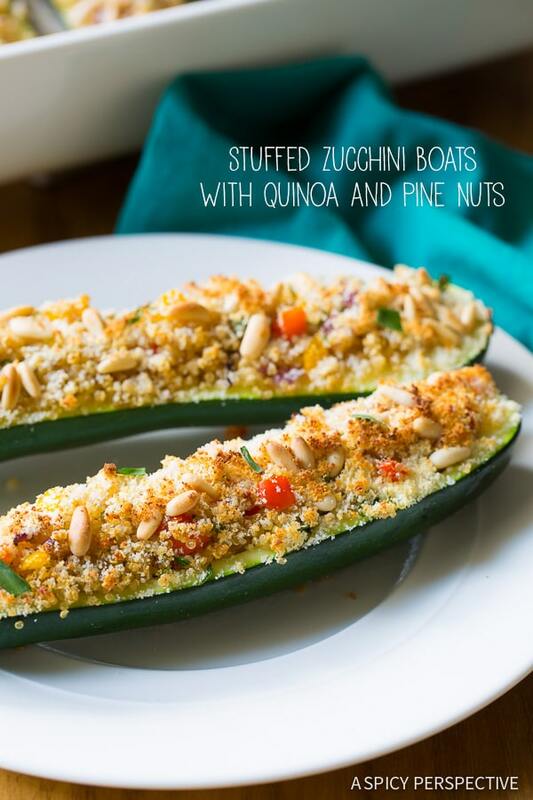 And zucchini boats are TOTALLY my jam, so I love how you doctored them up with quinoa and those crunchy nuts! Dinner perfection. Pinned!